Most men haven’t worn a necktie since their high-school graduation, and about ten years ago, even American necktie manufacturers gave up on the cause. 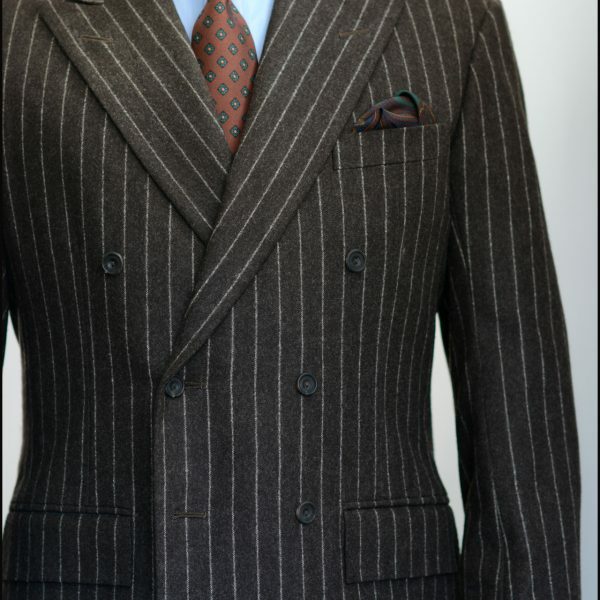 In 2008, the Men’s Dress Furnishing Association shut down after 60 years of representing necktie companies. The group must have known things were bad when its own members showed up to their annual meetings with an open collar. There’s no way around it: wearing a necktie can make you stand out. Unless you work in certain industries, such as law, finance, and government — and, increasingly, perhaps not even then — most offices today are dressed down. 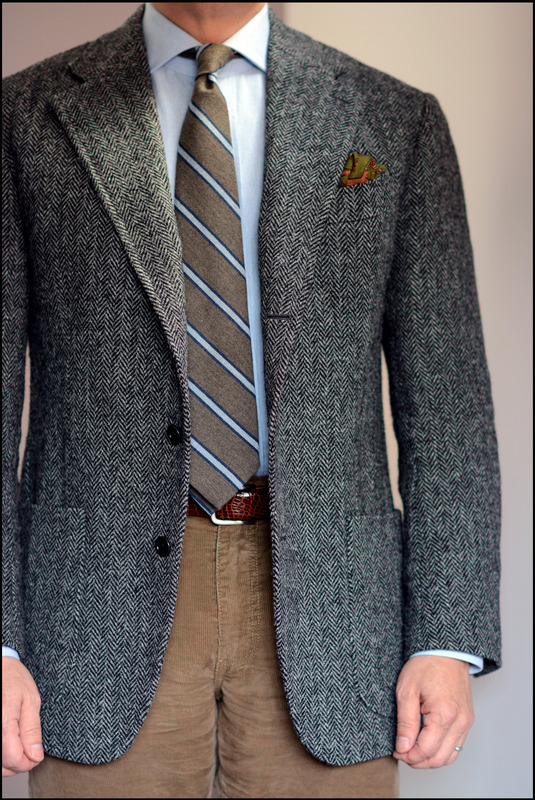 But like the sport coat itself, putting on a tie today can be elective — and it can feel good. 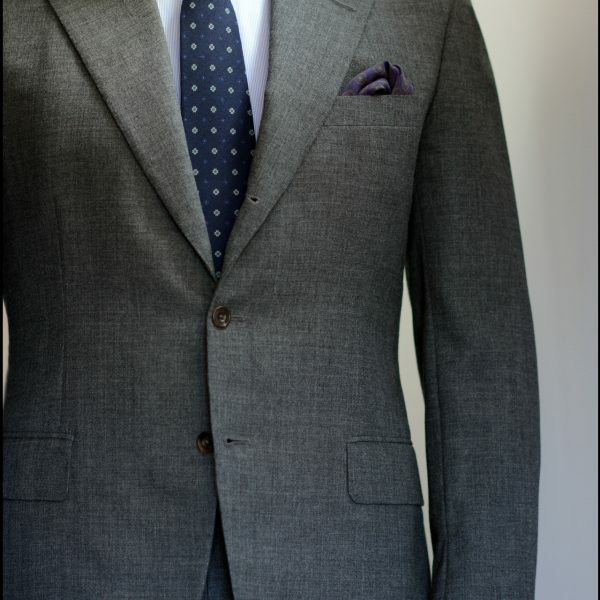 A tailored outfit can sometimes look a little empty without a bit of wool or silk hanging between he jacket’s fronts. “Plus, the necktie helps cover over a bit of one’s paunchy stomach,” Ben Stein once said on CBS Sunday Morning. Hard to argue with that. Perhaps no neckwear is better suited to the cold than ancient madder. The term madder refers to two things. The first is the rich-red, vegetable dye that’s derived from the Eurasian plant Rubia tinctoria. In ancient times, it was used to dye regal clothes, which Bruce Boyer says is how we get the “ancient” part of ancient madder. Then we have “madder style,” which is an old method of printing that involves using thickened mordants, drying, aging, dunging, and dyeing with alizarin (the coloring agent obtained from madder root) or other coloring agents. I’ve never known whether madder in silks refers to the first or the second, but for what it’s worth, not all madder ties contain red. At some point, scientists discovered that two of the three madder dyes used to make madder cause cancer, at least in lab rats. Which meant, when printers dyed their silks and dumped the solutions out to disposal plants, they risked getting carcinogens into water supplies. They never found a way to filter out those chemicals, so the dyes were banned and replaced with synthetics. Today, only the third dye (indigo) remains in its original form. Modern madder still has that chalky hand, but it misses the muted look of yesterday’s prints. They’re brighter and more vivid, especially in areas where the silk has been dyed red. Still, they make for great fall/ winter neckwear. 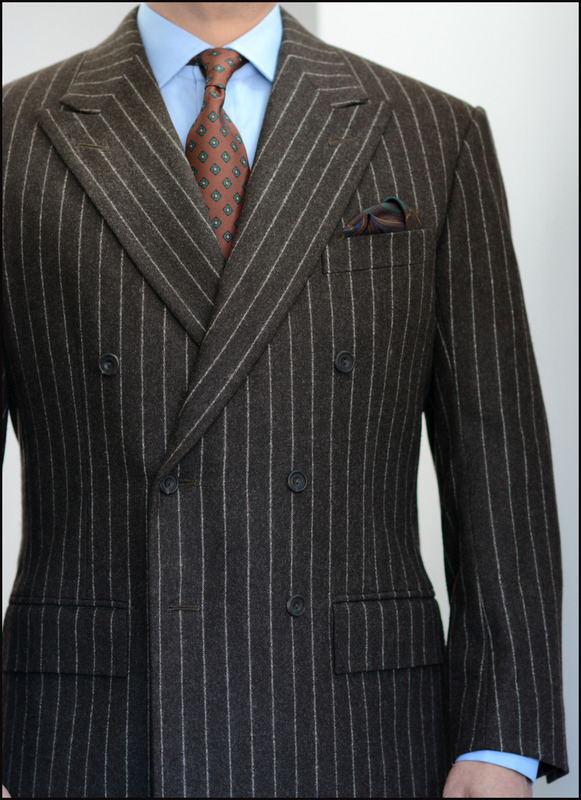 Just as good with tweed and corduroy sport coats as they are with worsted suits and pinstripes. Paisley patterns are traditional, but I particularly like them in geometric and abstracted motifs, like you see above. 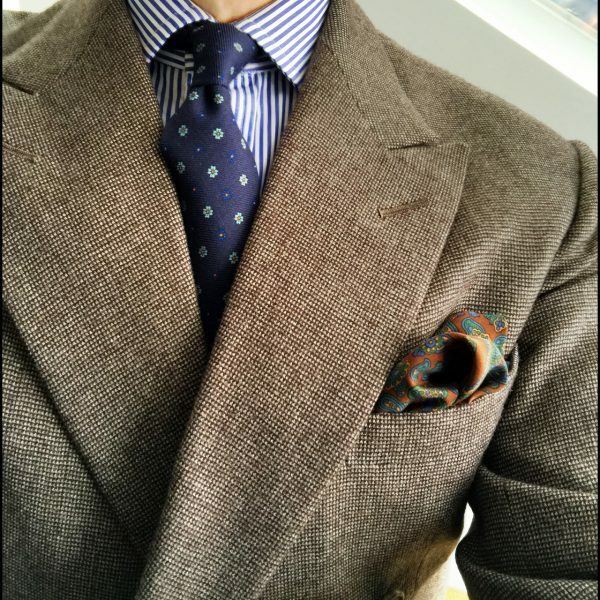 There’s as much variety in wool and cashmere neckties as there are tailored jackets – everything from flecked Donegals to fuzzy wools to soft cashmeres. Add to that any number of patterns and you can see how this category could be broken up into ten more. 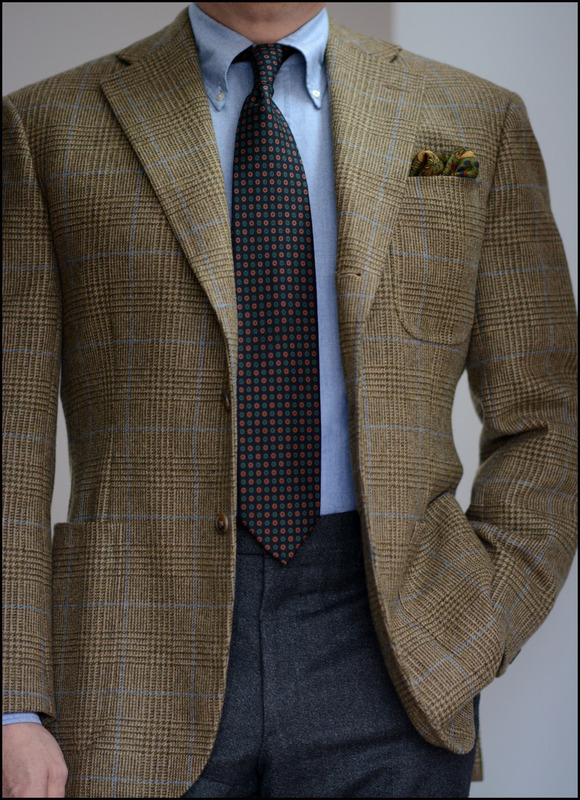 I like wool and cashmere ties in darker colors and lighter weight constructions. 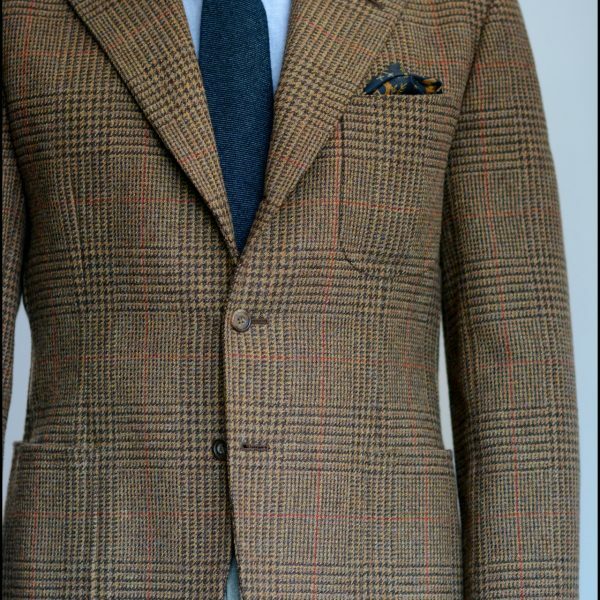 Since the material itself can be a bit thick, especially if it’s tweed, it’s important to make sure the interlining and padding inside are thin, and there aren’t many folds. 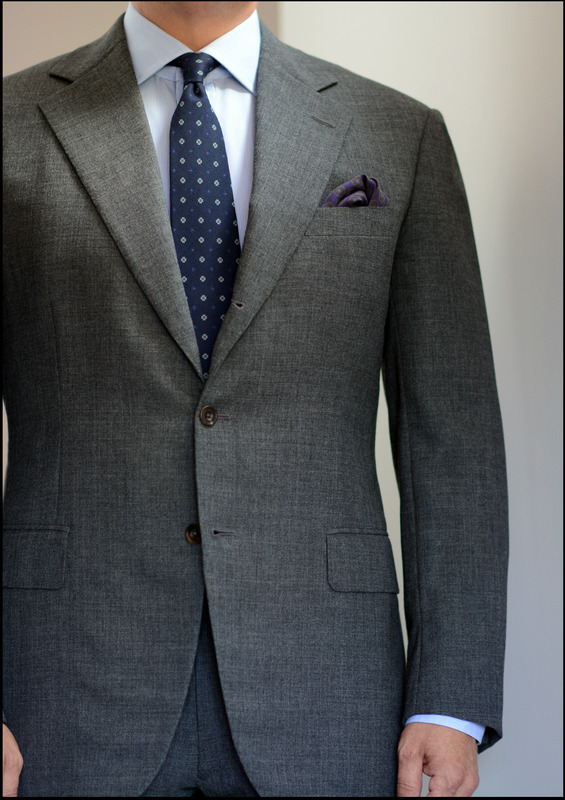 Otherwise, even your tightest four-in-hand knot can look like a full-Windsor. 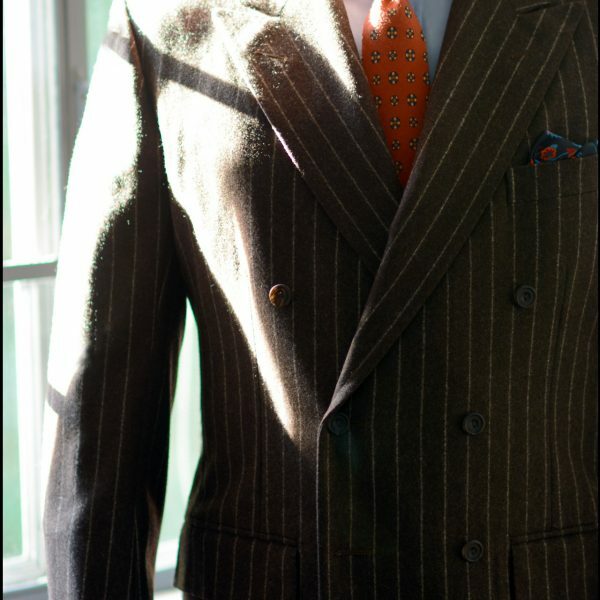 The upside to a solid-colored wool tie isn’t too unlike the advantage of silk grenadine. 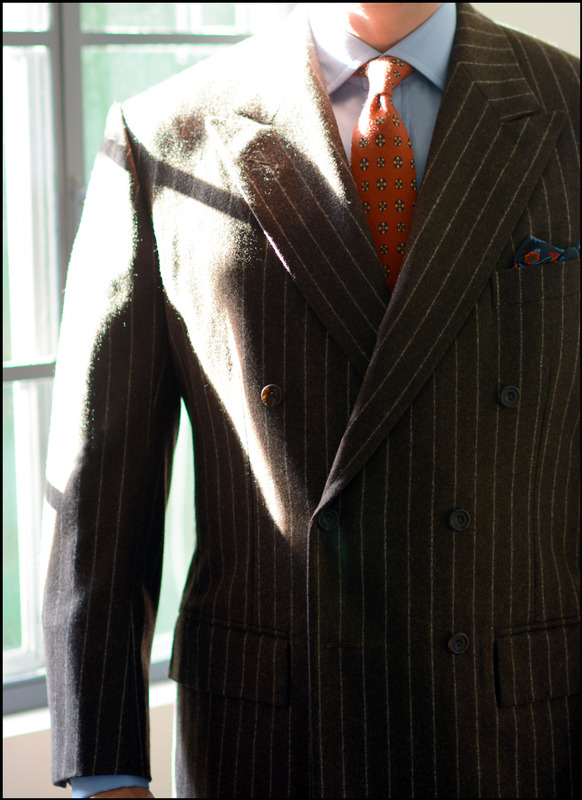 In solid colors, they help anchor patterned suit and sport coat ensembles. At the same time, their unique texture lends visual interest to plainer outfits. 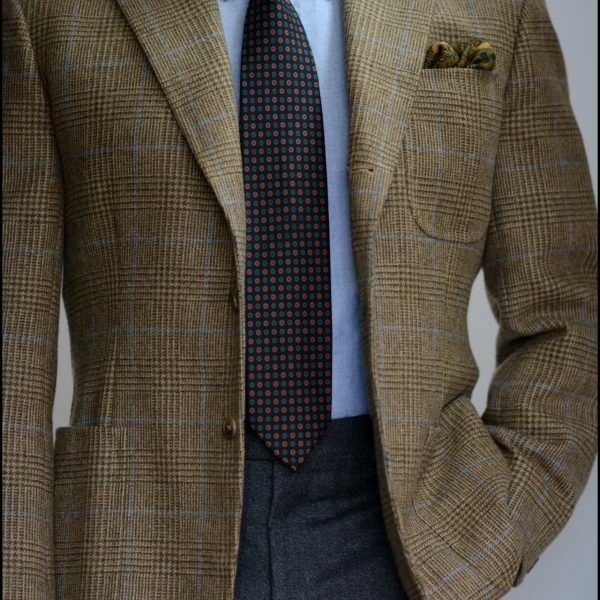 I also like them in patterns, such as district checks, although I find I reach for my solid-colored ties more. 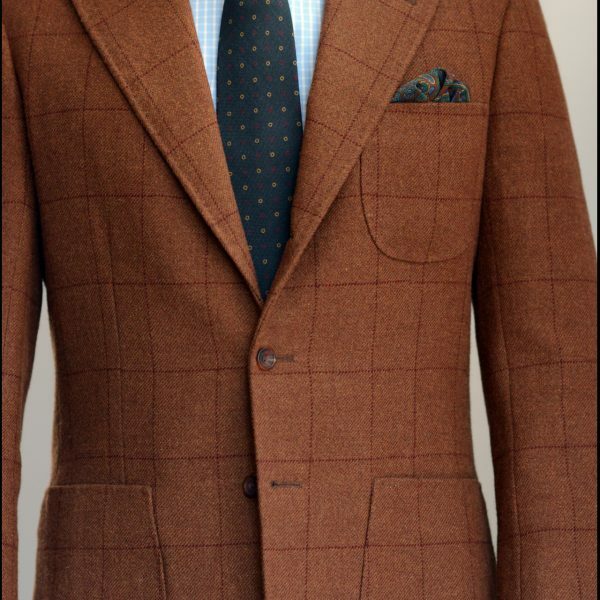 For the best of both worlds, consider unique weaves, such as birdseye, herringbone, or Donegal. Wool blends can also sometimes have more interesting textures than pure wool. Since wool ties are less shiny than their silk counterparts, they’re also a little more casual. 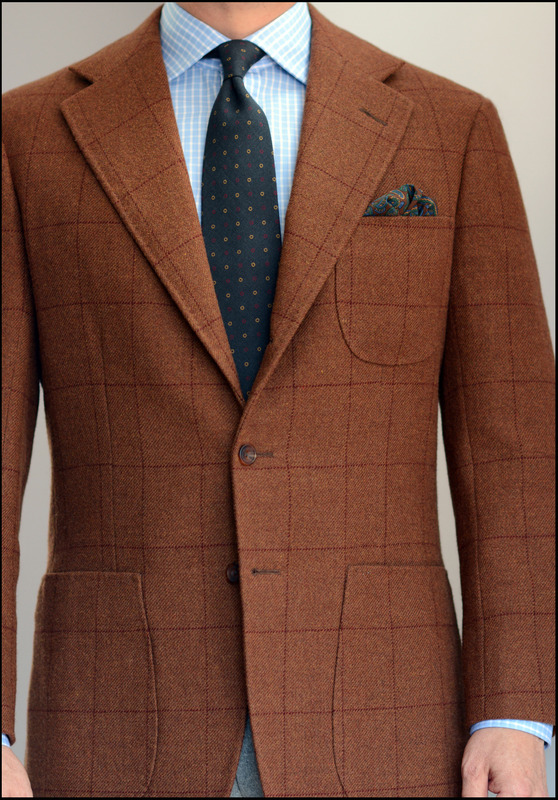 I like them with suits and sport coats in similar wool textures — flannel, covert, and tweed. 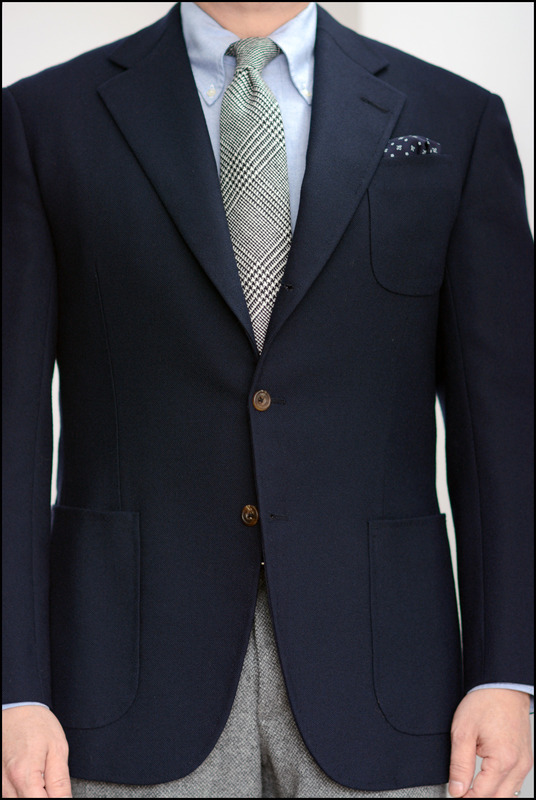 They can also add a wintery touch to a basic navy sport coat and grey wool trousers ensemble. 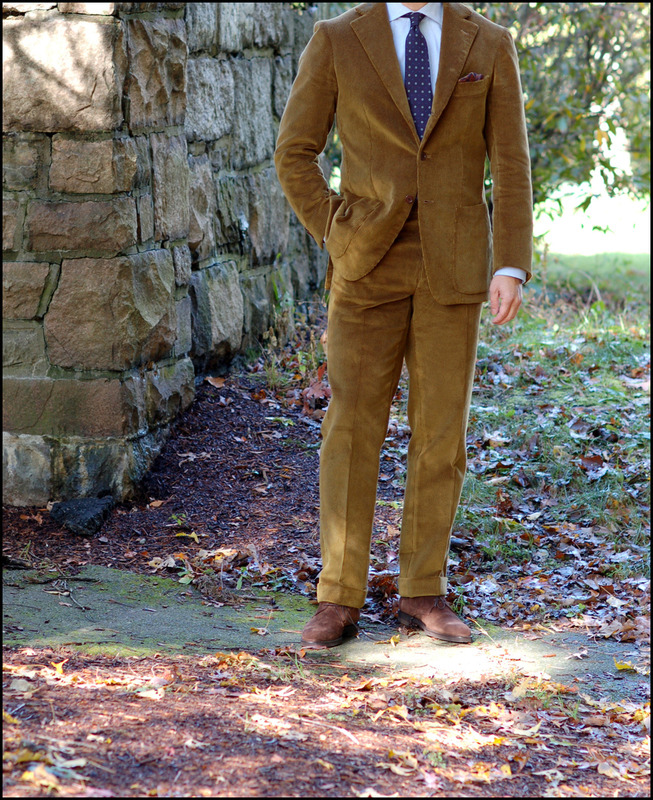 If you’re getting your first one, consider colors such as navy, chocolate brown, or forest green. 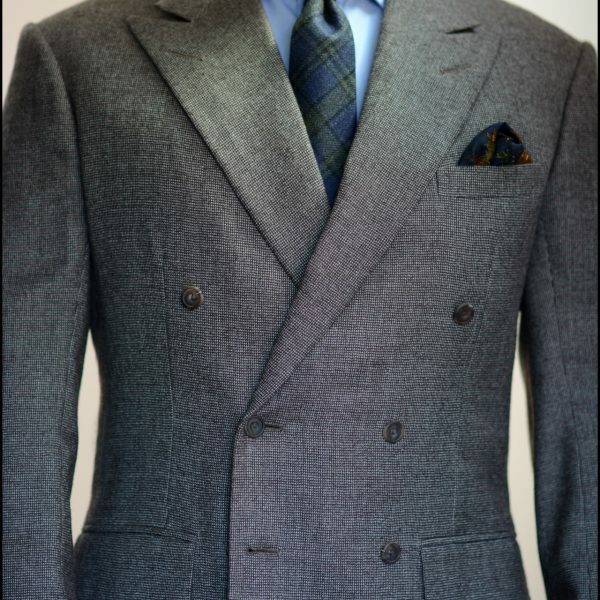 Grays can also be nice, but with wool pants, they can look a little too coordinated depending on the combination. A special enough category for wool ties to deserve its own mention. 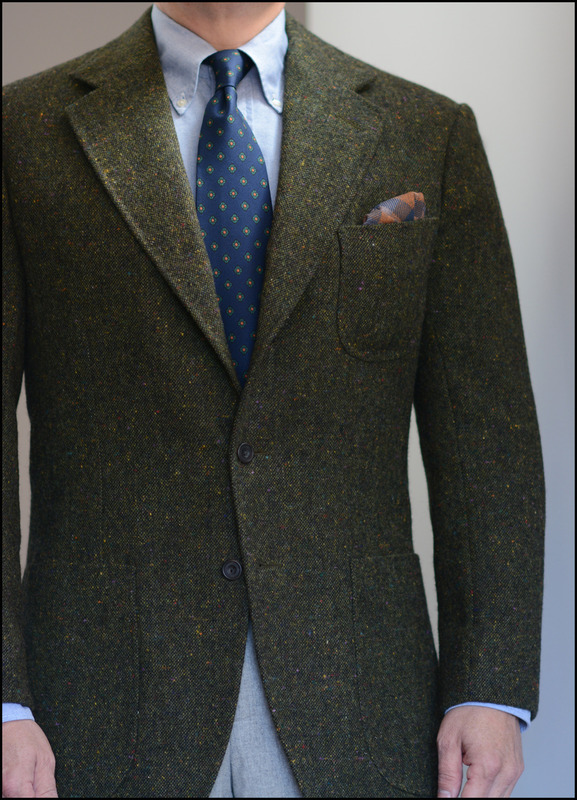 Wool challis has been used in men’s clothing since the 19th century, when it was first woven in Norwich, England. The term challis is actually a corruption of the imported Indian word “shallee,” meaning “soft.” And it’s that softness that makes wool challis so wonderful. 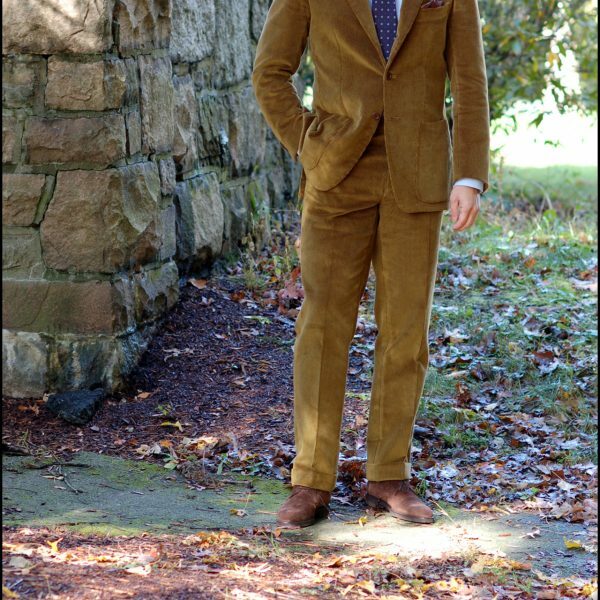 Unlike many wool you’ll find elsewhere, wool challis has the softness you want out of a fall/ winter tie, but none of the bulk. About fifty years ago, people still hand block printed on wool challis. That means large blocks of wood (roughly about the size of a piece of paper) were set with ink and then pressed against the fabric. The process was labor intensive, but the prints beautiful. A former David Evans manager once told me, however, that customers used to complain about the small inconsistencies found in hand block printed ties (any handwork is bound to have some small variation). That, coupled with the need for great efficiency, means that almost all wool challis today is silk screened. The process is still done by hand, but here, a large screen is set against the wool and a rubber blade is then passed from one end to another. This pushes the ink through certain parts of the screen, which sets the pattern. Thankfully, the quality here is just as good as the old methods. If I had to narrow my neckwear wardrobe, it’d probably come down to just a handful of ties in ancient madder and wool challis. The second is just easier to work with in the morning given its firmness and weight. It drapes beautifully and ties up nicely, giving you a substantial, but small knot. 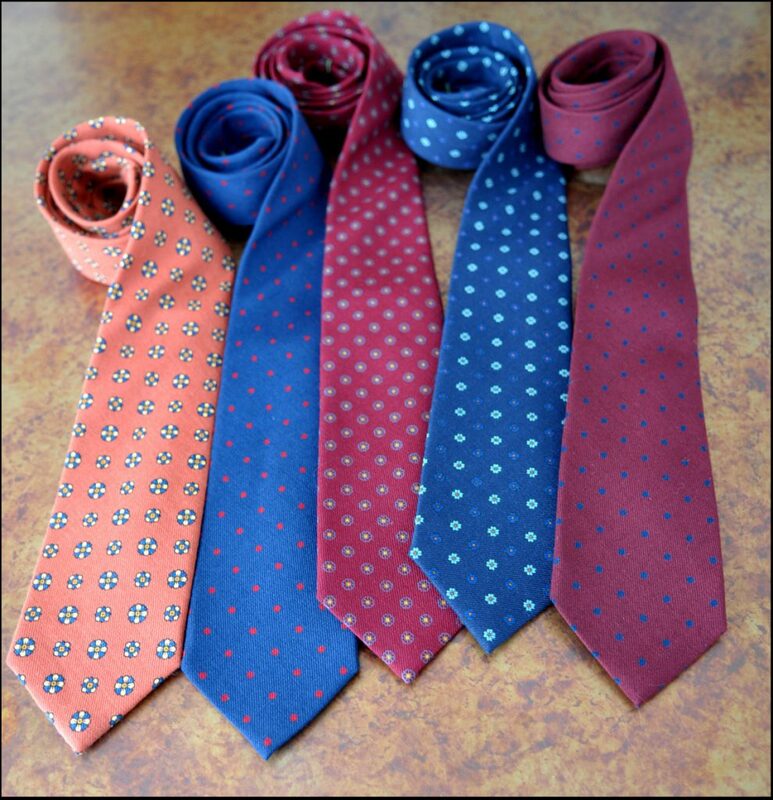 Imagine your favorite silk ties, but with a soft and supple hand, as well as a matte finish. 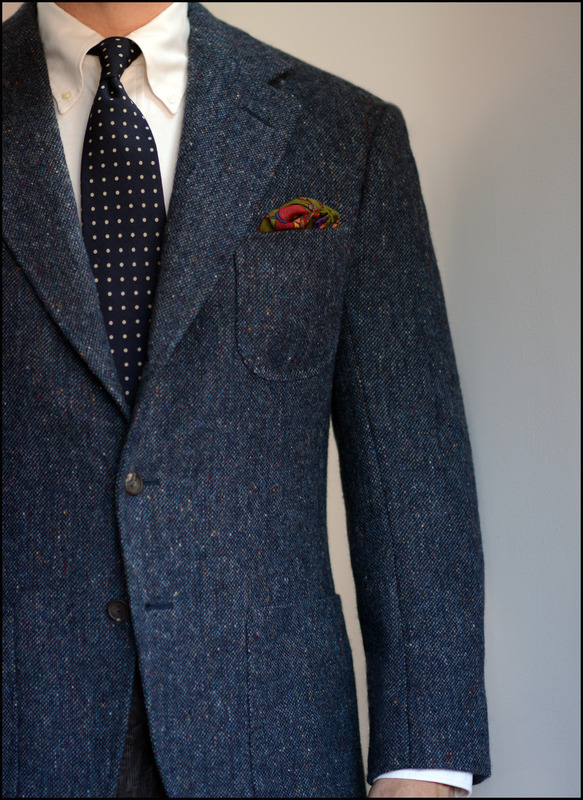 You don’t see boucle used much in menswear, especially traditional tailoring. It’s more often than not reserved for women’s clothing or the occasional adventurous menswear designer. Maison Margiela has used it for knitwear; Lemaire for overcoats. The fabric is distinguished by its uneven surface – a nubby surface with tiny loops and knots twisting over on themselves, as though the yarns were made from thousands of badly tangled lengths of string. The material makes for great neckties, however. Think of boucle as the winter version of raw silk – something with a rough, uneven surface for a casual look. 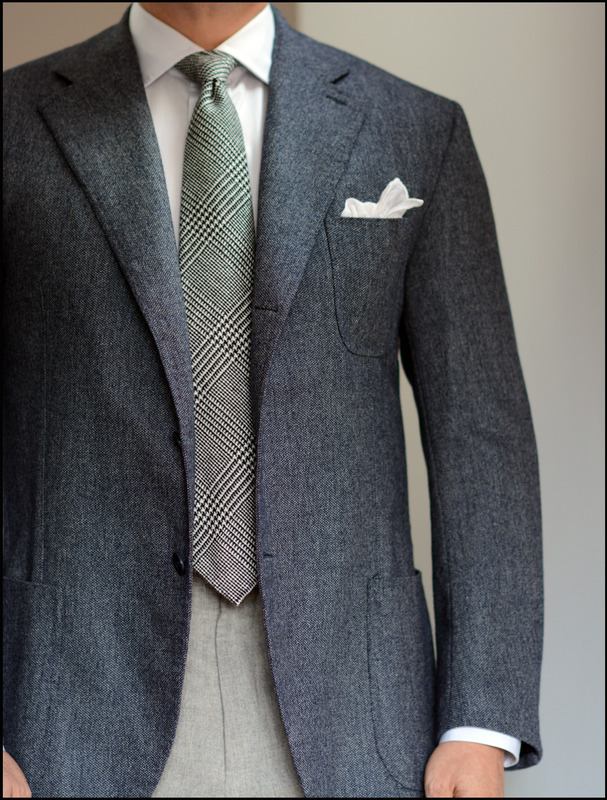 Like with a raw silk tie, boucle neckwear is a nice way to dress down a tailored jacket. The hard part is finding one. 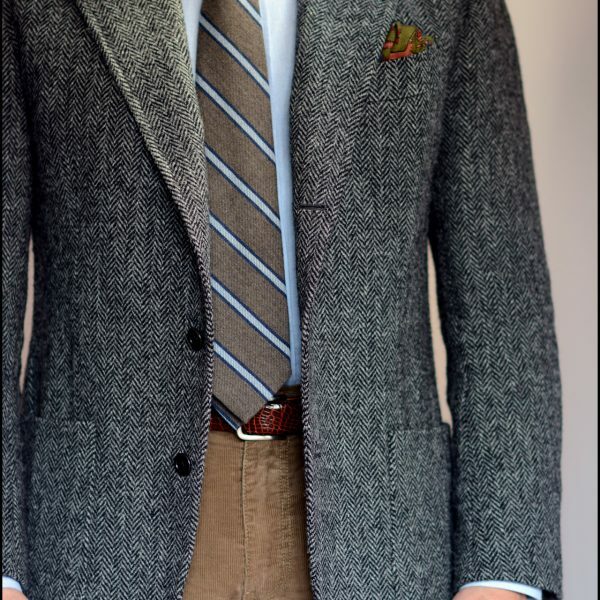 Drake’s has done them in the past, but this season only used boucle for a sport coat. The only option I can find right now is at Brooks Brothers. Most knits are made from silk, but wool and cashmere are great if you want some variety. They’re softer and more matte, giving them a more cold-weather feel. 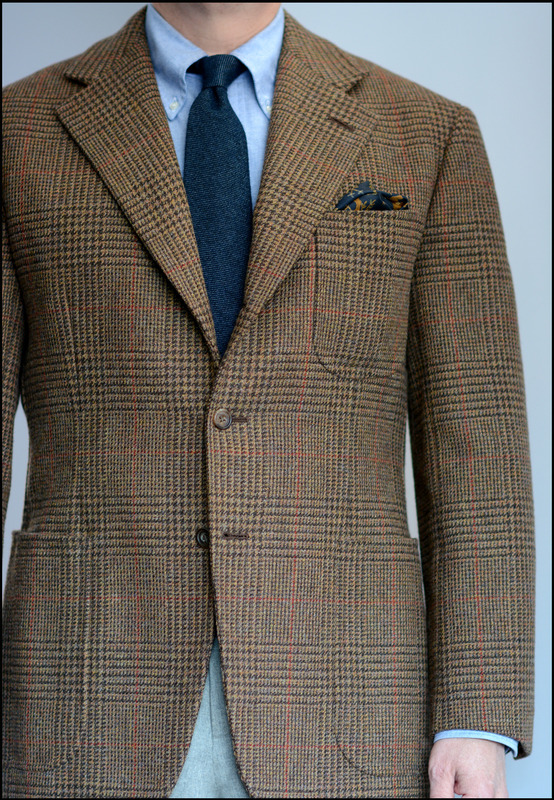 I especially like them with Shetland tweeds, corduroy sport coats, and chunky hopsack jackets. They’re a little floppier and more casual than your traditional four-in-hands, and the perfect choice for guys who want to look a bit more dressed down in their neckwear. One little trick: if you get knits with pointed ends, rather than square, you’ll have a bit more wiggle room in terms of tying it at the right length. Getting a pointed end to hit your belt is a bit easier than getting a square one to do the same. 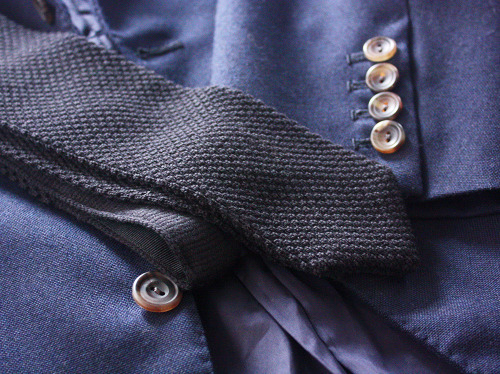 Black is, unexpectedly, one of the most versatile colors for knit ties. 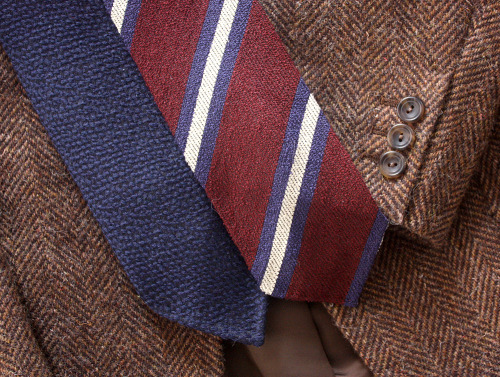 Better than the standard go-to colors for neckwear, such as brown, burgundy, and bottle green. Better even than the always wearable navy. The black silk knit was perhaps most famously worn by the literary version of James Bond, who was often described by Ian Fleming as wearing a dark suit, clean white shirt, and a “thin, black silk knitted tie.” It’s also heavily associated with other mid-century icons such as the fellas in The Rat Pack. In fact, one of the first ties I bought as an undergraduate student was a black silk knit, precisely because I thought Sammy Davis Jr. looked so great in them. 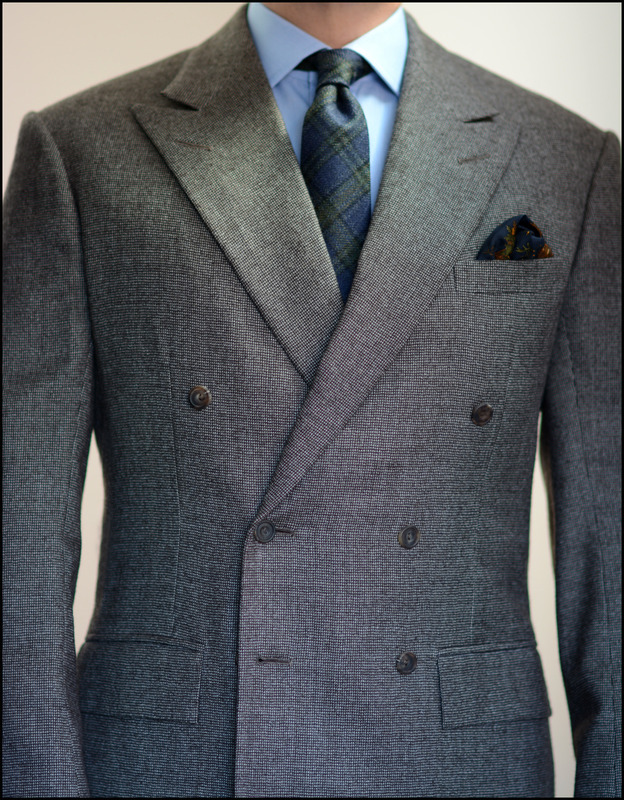 You can wear almost anything with a black silk knit tie: brown tweeds, navy jackets, or grey suits paired with white or light blue shirts in solids, stripes, or checks (knit ties are especially nice with checks). 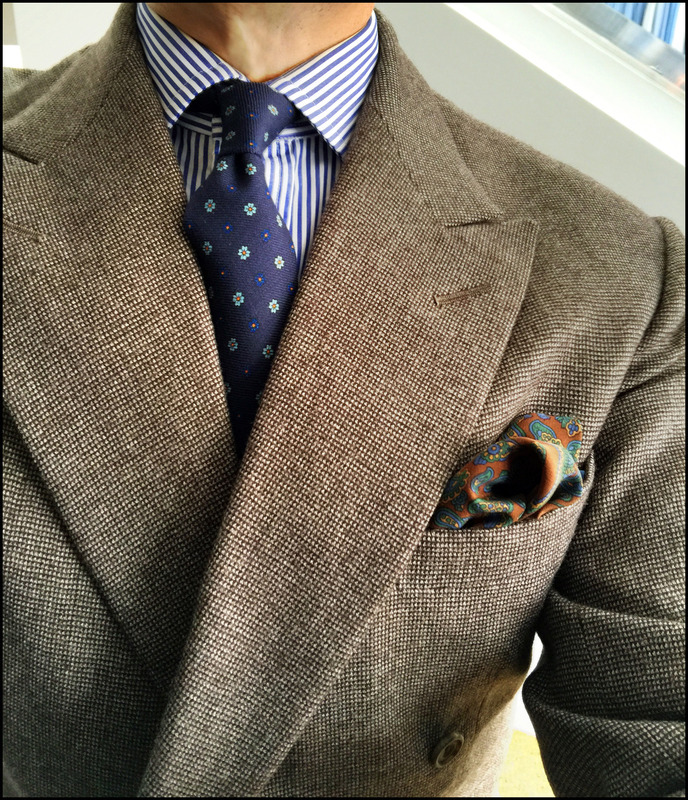 Given that many men today want to wear a tie without looking too formal, the black silk knit is about as good as you can get. Versatile in color; casual in form. If you’re looking for value, it would be hard to beat Sam Hober, Kent Wang, and our sponsor Chipp Neckwear. 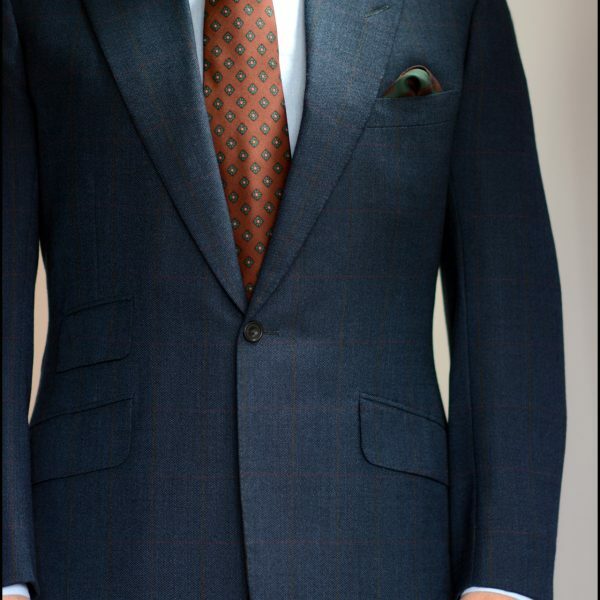 Sam Hober is the most expensive of the three options, but they offer bespoke ties made to the highest standards (all handsewn and using excellent interlinings). Kent Wang does ready-to-wear for a very reasonable price of $75. 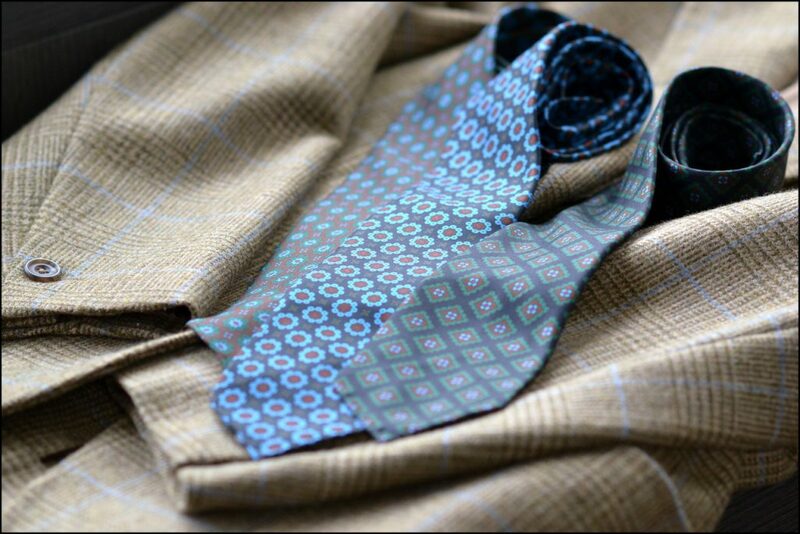 Our sponsor Chipp is a little more affordable and their ties are handmade in New York City. 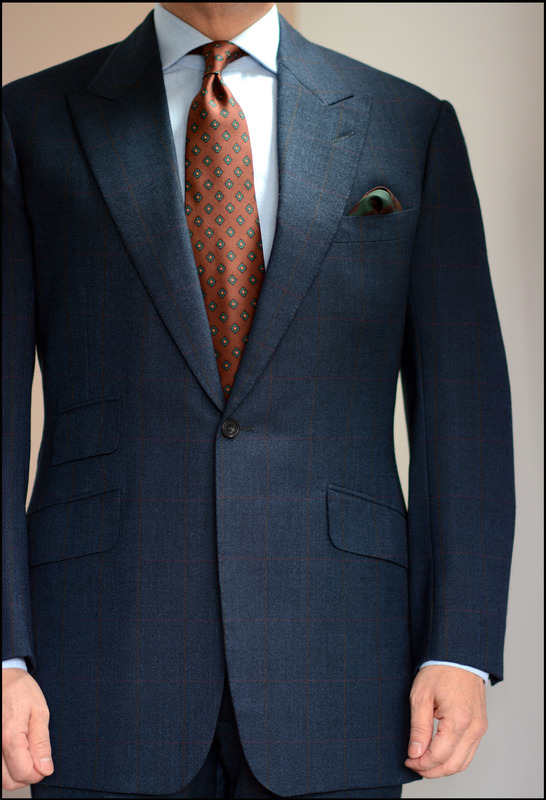 Chipp can do custom-made ties to almost any length and width for a small surcharge, and they just got in a new wool challis option (Paul tells us more will be on the site soon). If you’re willing to spend a little more money, few companies capture my heart like Drake’s. 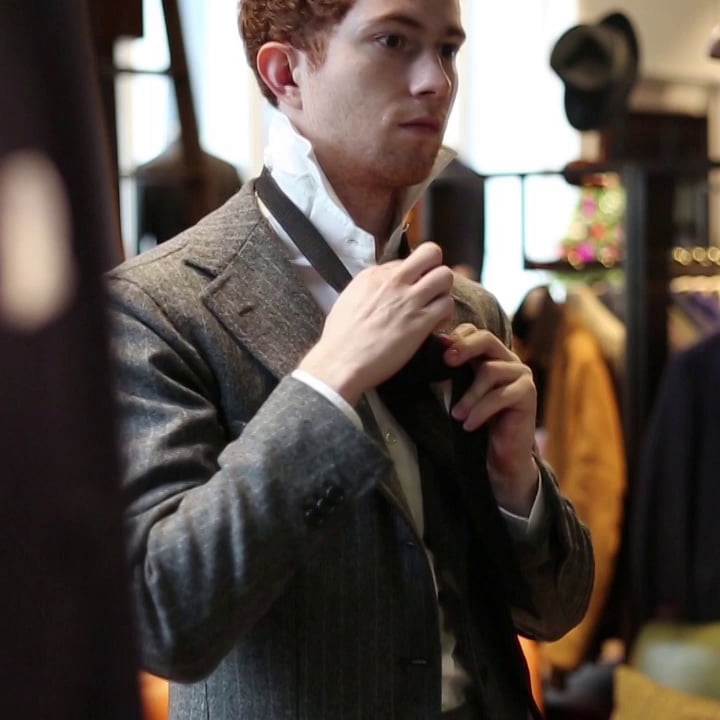 Their ties are made in their own workshop in London, but their real advantage is in fabrics. Whereas most small-batch producers have to be a bit more conservative in their selections, Drake’s has all sorts of great ties that look unique without being distasteful. E.G. 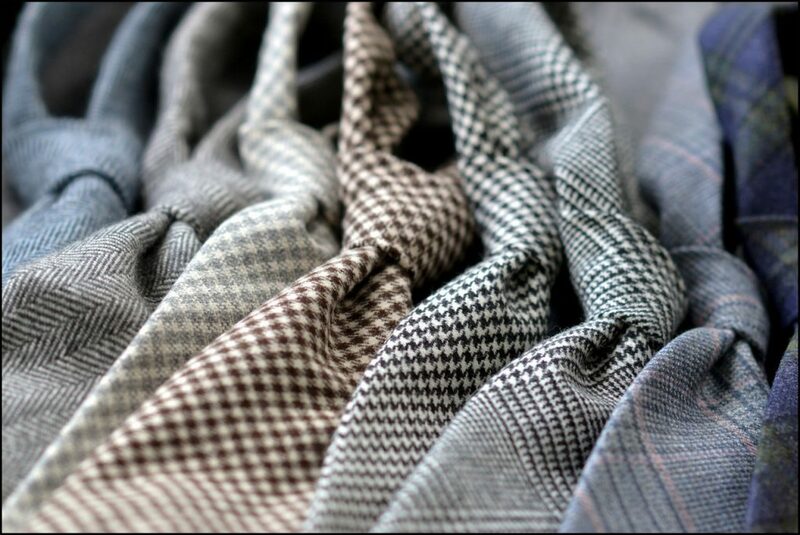 Cappelli, Tie Your Tie, Calabrese, Vanda Fine Clothing, and Bigi Milano are also excellent for handmade neckwear. 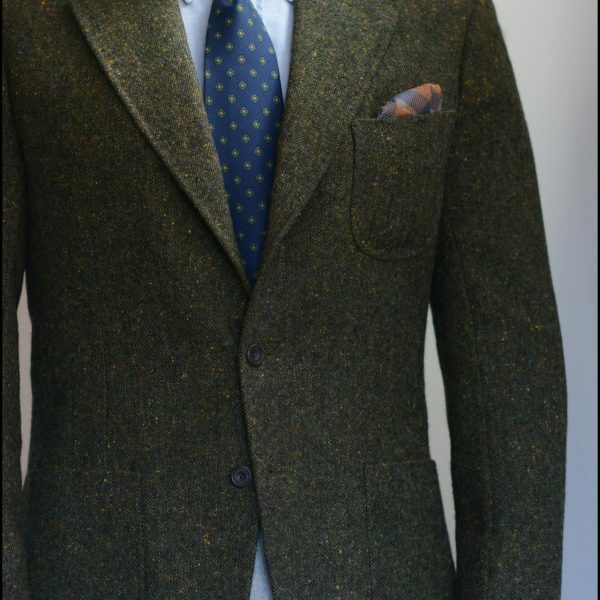 EG Cappelli and Vanda are available for custom orders, while the other thee are largely ready-to-wear. 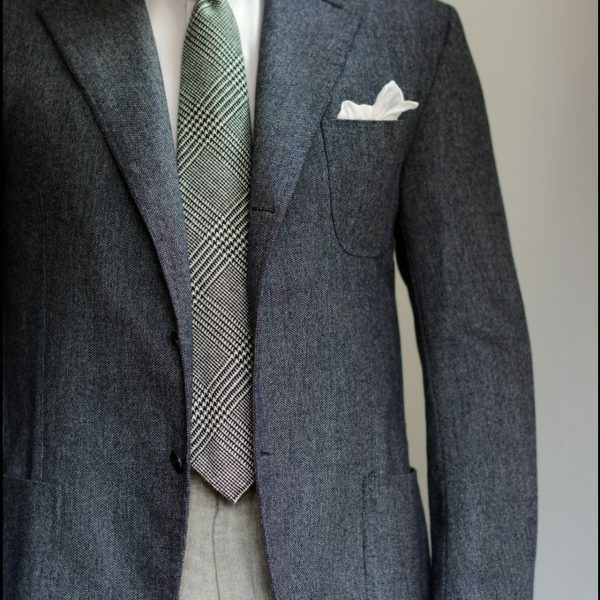 The constructions here are often on the softer side of things with the ties being minimally lined with wool- or wool-blend materials (good for getting a bit more spring-back quality when tying your tie and ensuring the wrinkles fall out). There are some other notables. Bryceland’s, Berg & Berg, Shibumi, and Rampley are popular online suppliers. 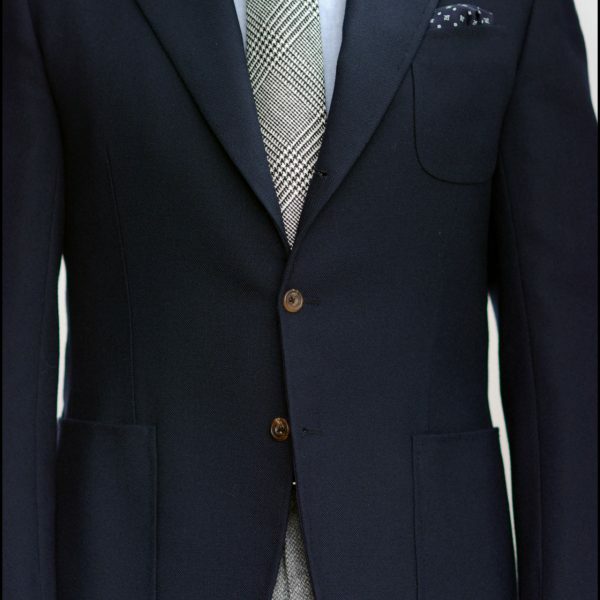 British clothiers such as Turnbull & Asser, New & Lingwood, and Anderson & Sheppard have great selections. Their counterparts in the US, such as Ralph Lauren, Brooks Brothers, Ben Silver, J. Press, and O’Connell’s, are worth a look. Our sponsor The Hanger Project has a special line of ties made for them in France by one of the world’s best producers (they also make for a famous Parisian bespoke shirt making shop). 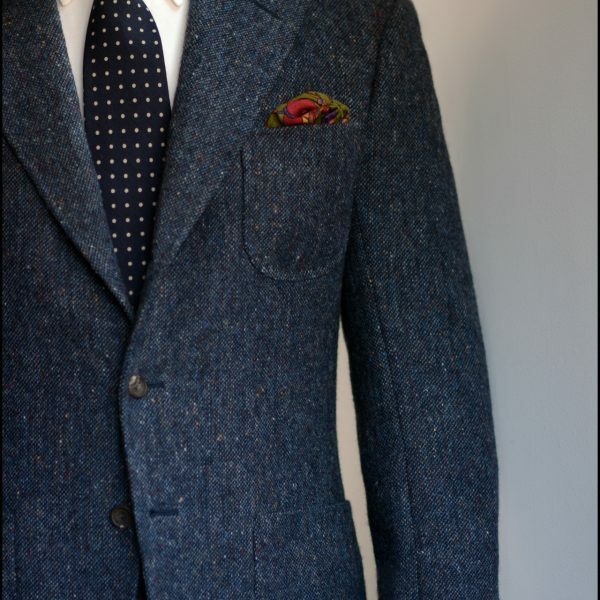 Lastly, while they don’t have an online store, Nashville bespoke tailor Herrie has some wonderful looking accessories. You can order by emailing them.